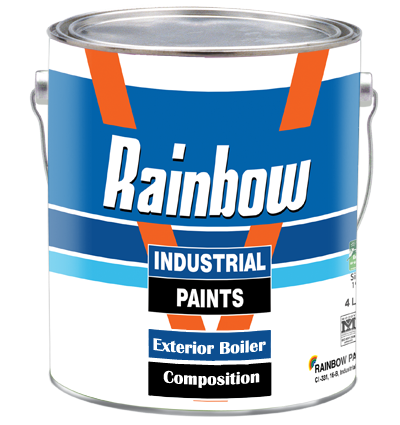 Rainbow exterior boiler composition is a general purpose coat tar based product for use on the exterior of boiler and their as cerium which come in contact with water up to 98oC. No. of Coats: 2 Coats. Film Tickness: 25-30 Micron per coat. Finish​: Glossy. Thinner: Mineral turpentine. Pack: 3.64 & 14.56 Liters. Colour: Black.